As the joke goes, you never leave Target with only the thing you came for and the fact that they just added over 150 new beauty products, solidifies that as a universal truth. Brands like Pixi, Kristen Ess, Good Chemistry, Meow Meow Tweet, and others have more than a red shopping cart full of new products for spring that cover all the beauty bases. New-comers like organic brand Meow Meow Tweet have super trendy launches, including something called “deodorant cream” and a twee Pink Rose Clay facial soap, because bar soap isn’t dead, people. And they didn’t skimp on your choice of fragrance either, with Good Chemistry’s massive offering of perfumes and colognes for basically any kind of person. Brainiac features notes of citrus, peppercorn, and vanilla, while Wild Child has bergamot, coconut, and bamboo. 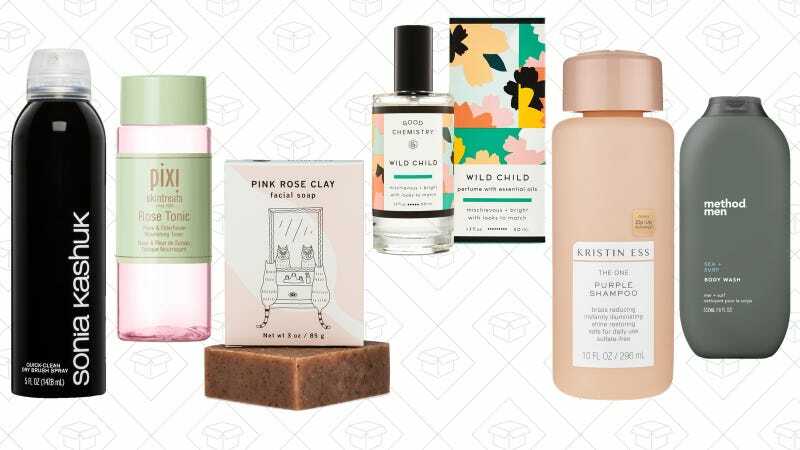 Target-exclusive brand Kristen Ess has 11 new products coming this month, with staples like a purple shampoo for all the fake blondes that will inevitably pop up when the weather gets warm, and a texturizing sea salt spray. There’s also, oddly enough, a temporary hair tint in, you guessed it, rose gold. Even Target mainstays like Sonia Kashuk have a new look and new products. A lot of Target’s previous offerings were in the buying-because-it’s-there shopping rational, but these new launches have proven that they’re more than a place to grab a gallon of milk, a new dress, and a TV in one fell swoop.